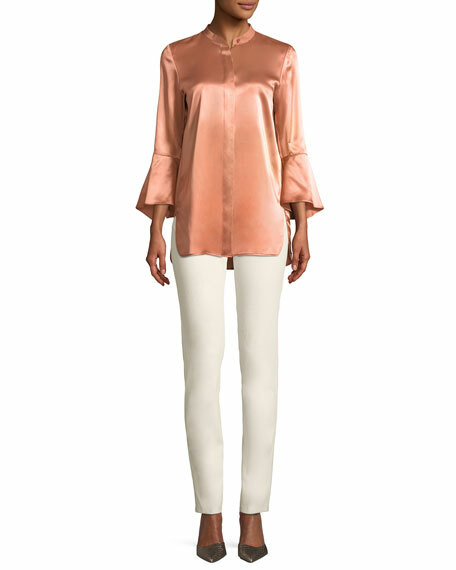 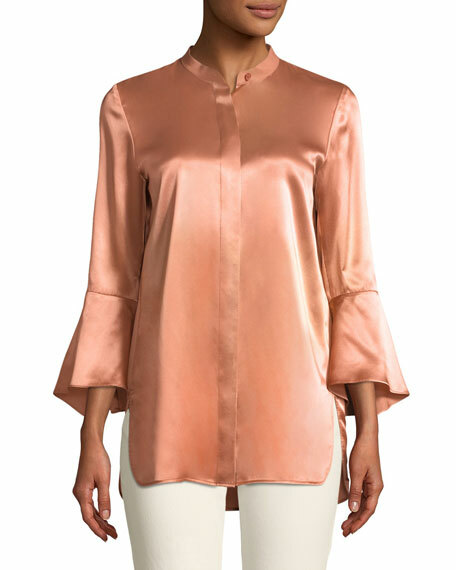 Lafayette 148 New York "Graydon" blouse in luxe charmeuse. 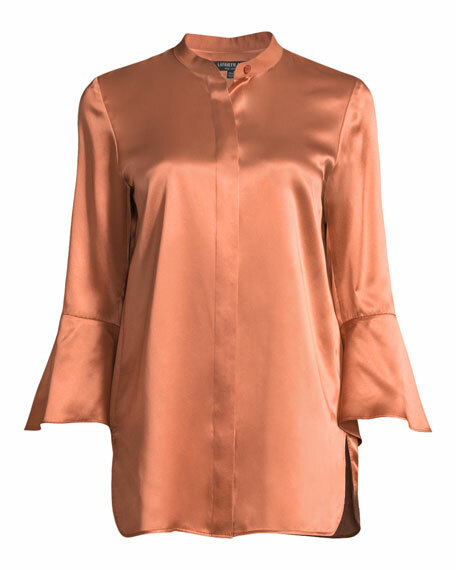 Collared neckline; hidden button front. 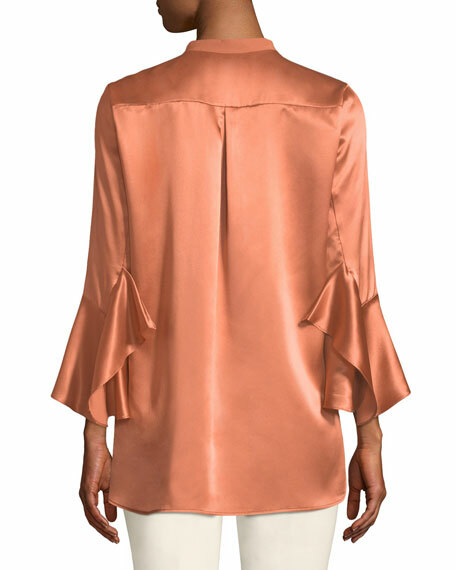 For in-store inquiries, use sku #2461074.